My Waiting on Wednesday is from one of the “go to” authors I have. I can always count on Shannon Hale to write something I’ll love. And, the name Daisy Danger for a heroine?! 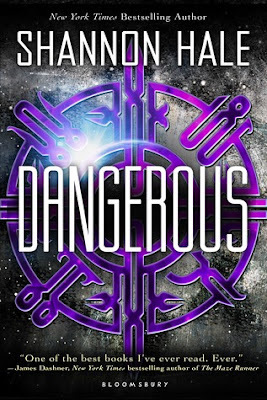 Summary from Goodreads: Maisie Danger Brown just wanted to get away from home for a bit, see something new. She never intended to fall in love. And she never imagined stumbling into a frightening plot that kills her friends and just might kill her, too. A plot that is already changing life on Earth as we know it. There’s no going back. She is the only thing standing between danger and annihilation. 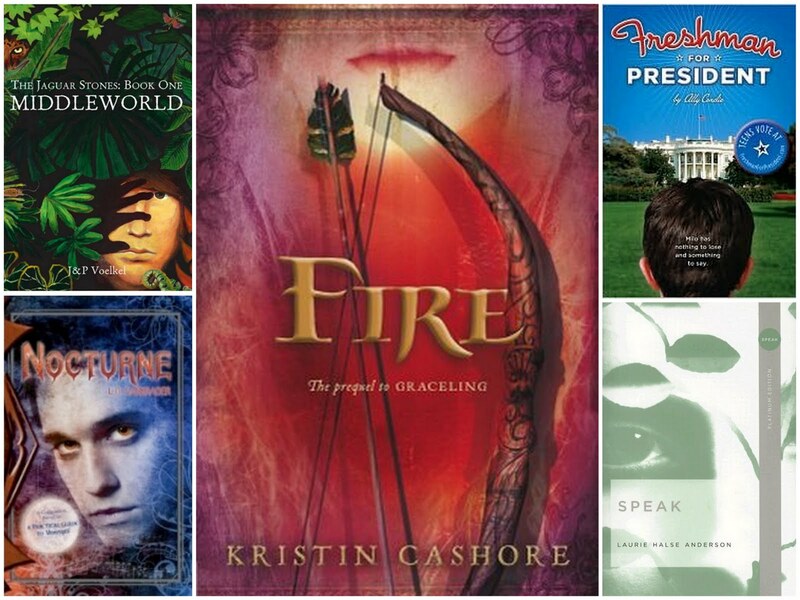 What books are you Waiting on ? Today’s Kindle Daily Deal is the Books of Bayern Series by Shannon Hale for 1.99 each. The Book of A Thousand Days is also on sale at 99 cents! Shannon is one of our very favorite authors so run and download. Book Summary from Goodreads: Coming down from the mountain to a new life in the city seems a thrill beyond imagining. When Miri and her friends from Mount Eskel set off to help the future princess Britta prepare for her royal wedding, she is happy about her chance to attend school in the capital city. There, Miri befriends students who seem so sophisticated and exciting . . . until she learns that they have some frightening plans. They think that Miri will help them, that she “should “help them. Soon Miri finds herself torn between loyalty to the princess and her new friends’ ideas, between an old love and a new crush, and between her small mountain home and the bustling city. Picking up where “Princess Academy “left off, this incredible stand-alone story celebrates the joys of friendship, the delight of romance, and the fate of a beloved fairy tale kingdom. 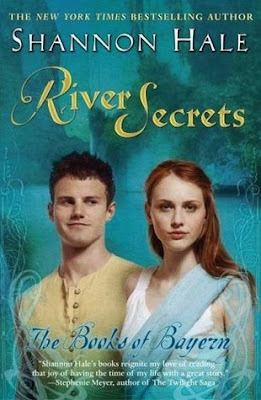 Cathy’s review: Miri is back to living her regular, old, boring life after the Princess Academy. She thought that things would have changed when the price of linder had been made more fair, but life has gone on as normal for the people in Mount Eskel. Miri is soon summoned to the capital city to help her best friend and Princess to be, Britta, with the wedding preparations. Miri is also to attend school, something she’s yearned to do for a long time. As she attends school, Miri begins to notice the chasm between the royals and the common people that they rule. She makes some new friends, including a boy named Timon, these friends seem to want to make things better for the common man, and they would really like Miri to join them. 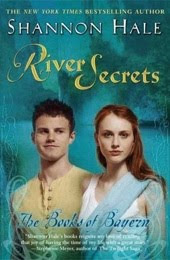 But Miri is confused, she is unsure whether she should help in the fight for the common man with Timon, or learn all she can and go back to her life in Mount Eskel with her love Peder. She begins to see that she must make a choice and soon, before that choice is made for her, but just what should she choose? This book was so great! I love Miri, she is such a strong young woman, she wants to do what’s right, but she’s unsure of just which way she should go. I loved the feel of this book, you can feel the tone of revolution from the very beginning. I love reading the letters that Miri writes to her sister Marda, you can tell just how Miri feels and how much she is learning, including about herself, and changing. I love that this book can be read as part of a series, but it’s great to read just by itself too. It’s been quite awhile since I’ve read the original Princess Academy, but I didn’t feel lost at all. 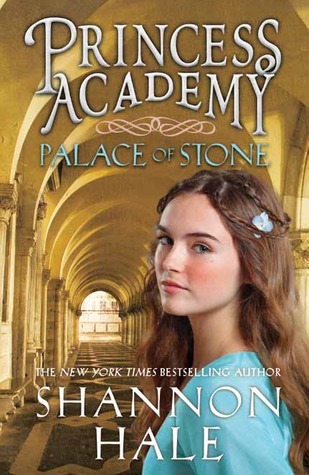 I highly recommend this book to anyone who loves to read books by Shannon Hale, and anyone who loves to read about Princesses! 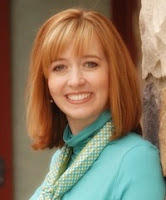 About the Author: Shannon Hale is the New York Times best-selling author of six young adult novels: the Newbery Honor book Princess Academy, multiple award winner Book of a Thousand Days, and the highly acclaimed Books of Bayern series. 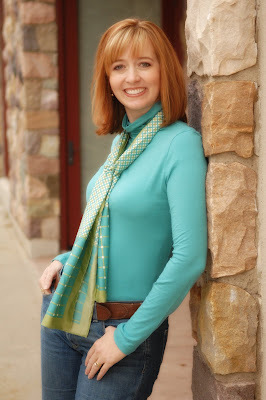 She has written three books for adults, including Midnight in Austenland (Jan. 2012), companion book to Austenland. She co-wrote the hit graphic novel Rapunzel’s Revenge and its sequel Calamity Jack with husband Dean Hale. They live near Salt Lake City, Utah with their four small children, and their pet, a small, plastic pig. 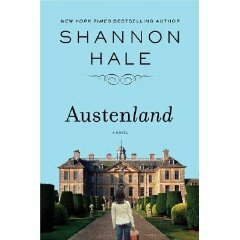 Shannon has done it again, Austenland was one of my favorite reads of 2009. I absolutely loved this book! It is refreshing and without any questionable filler. Makes me want to rent Pride and Prejudice with Collin Firth! Hale’s plot had me guessing until the end. Austenland is a gem. Thanks so much to Shannon Hale @haleshannon for tweeting this 🙂 You are the best… I gave this soon to be movie Five stars! Winner will be drawn Monday March 29th and it is open to International Entries.